Dive deep into film with a course that has no exams, no busywork and no endless lectures - just filmmaking. Build your own showreel whilst developing advanced skills in cinematography, editing, storytelling, directing, post production & sound in our degree. The contemporary and relevant approach to film theory will also make sure you don't miss a thing. Learn by doing. And doing. And doing. From day one, pick up industry-standard tools and start making the impossible possible! 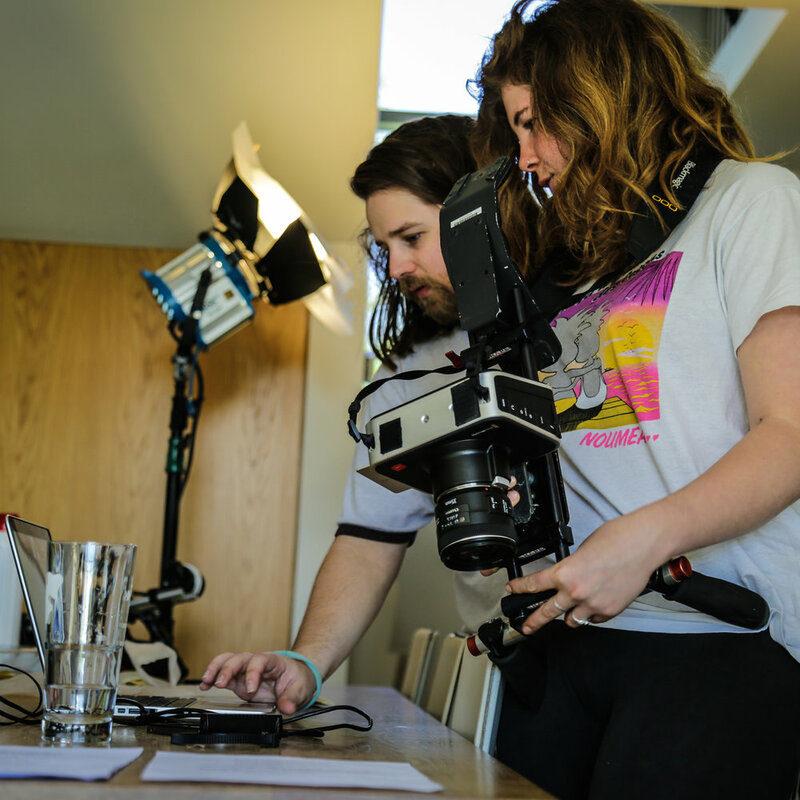 Collaborate closely with our onsite filmmakers and clients and benefit from honest feedback. Give your creative brain a workout, hone your toolset, innovate your practice and walk away with a stunning showreel of original work. The goal: get you on camera as much as humanly possible. Forget written tests and theory textbooks - get out there and do it. You will star in multiple film productions weekly and be working in tandem with the filmmakers. When you are not rehearsing or on the set, you will join workshops with professional tutors to train your body and voice. Ignite your passion, hone your technique, master the art of storytelling and push your creative boundaries to their limit. We’re excited - our new international creative campus at Funkhaus in Berlin is a perfect fit! Counted amongst our spaces are: 22 studios/production suites, 4 tech fabriks, 2 co-labs, a multi purpose lecture/workshop space, 2 film production offices, a film studio, a prop studio and a screening room. Practice makes perfect. We believe that the best learning involves getting your hands on the gear and maximising the amount of time you spend ‘doing’. We will start you on your journey to the 10,000 hours of quality practical experience which make you an expert. Our tutors are industry experienced with a passion for passing on their knowledge to others. You will be taught by a team of permanent tutors & visiting film industry professionals from the UK, Germany and around the world. Care, welcome, support. dBs Berlin is alll about people. A creative community. Feeling welcome. Feeling part of something. A nurturing, caring, relaxed and friendly environment where tutors provide uncompromising support to students. Although our spaces are equipped with the latest technology we believe that creativity is king. The latest digital technology is just another tool. What really matters is how you build and develop your creative muscle using that technology. dBs Film is an extension of dBs Music - we’ve been providing world-class music production training in the UK & Berlin for over 15 years, delivering fantastic hands-on, relevant and engaging education. Learning in English in a truly international environment, you'll study film and television production alongside our music students at our purpose-built facilities in the world-famous Funkhaus!